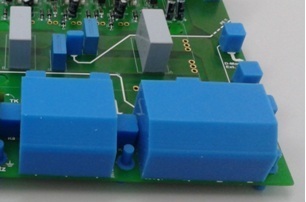 Minimise masking errors with conformal coating masking boots since conformal coating can leak into components much more with tapes and dots. Have a repeatable process in the conformal coating production area. It is far easier to train an operator to perform the masking operation and there is minimal operator variability in the process. It is much easier to spot missed masking points produced by operator error with the brightly coloured masking boots than with masking tape. You minimise PCB handling and reduce contamination by applying a boot is easier than applying tapes and boots. Click conformal coating masking boots FAQs for further questions or conformal coating masking boots for general information. We are happy to provide a free trial of our masking boots so you can test it for yourself. We can then work out your Return on Investment. All we ask is you pay for the carriage of the parts and we will refund this cost against an order if successful. Click Conformal Coating Masking Boots FREE TRIAL and try the boots today. Are the Conformal Coating Masking Boots ESD safe? The short answer is no for our standard boots! The good news is we can make the same boots in ESD safe material for you. I would like to order some conformal coating masking boots. What do I do? There are two realistic options for getting accurate quotes and designs made for custom boots. Supply a sample of the PCB along with a masking diagram so that we know what needs masking. Supply photos of the PCB along with exact dimensions of the components or the component codes . You can get this from the component supplier. With this information we will then check against stock and quote you a price. Please remember we want to get this right so we cannot guess. We will make the boots to a very high tolerance and need to get the measurements correct. Diamond MT, a leading US parylene and liquid conformal coating subcontract coating house, recently changed to our NEW range of conformal coating masking boots after extensive trials. As part of their conformal coating and parylene process, they use all types of masking materials including conformal coating masking boots. Their current production process costs several thousand dollars per month in masking materials and this is a significant cost. Diamond decided to work with SCH and see if we could help reduce their costs. When the analysis was completed, it was found pricing was lower by 30% compared to their current supplier. This immediately made a significant saving to Diamond MT. What was really interesting was after using them in the first month, Diamond MT found the conformal coating masking boots lasted twice as long as their original boot from the alternate supplier. This meant that now Diamond MT has halved the volume of boots order and this has reduced their bill by 60% for the year. This saving of 60% on conformal coating masking boots has meant what started as a simple trial led to a huge saving for Diamond MT. 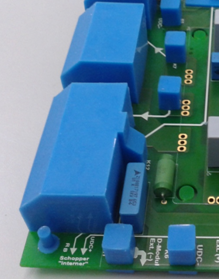 Would you like a Free Trial and Money Back Guarantee for our Conformal Coating Masking Boots? We are so sure we have a superior product that we are happy to provide a free trial of our conformal coating masking boots so you can test for yourself just how good they are. We can then work out your Return on Investment based upon how many boots you need. If you then place an order with us and you don’t save money then we will give you your money back. GUARANTEED!